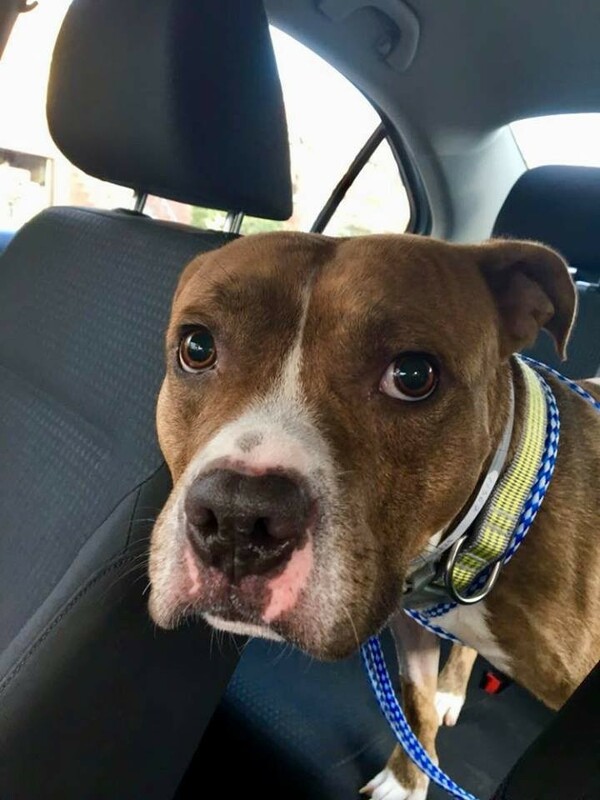 12 Photos · Updated 3 years ago Queens, NY - ****Update: 12/3/17**** Freddy is now staying at a vet hospital while we look for a foster home for him. Here is what his advocate and sponsor had to say about him : "I managed to arrive a couple of minutes before Mathew brought Frodo in. He immediately made himself at home: jumping at everybody and kissing everybody. He is extremely outgoing, friendly and sweet dog. He came with scratched nose and sides of lips. I could lift him, hold him, put ointment on the scratches. He is very young and has a lot of energy of course. Thus I had to steady him by holding his muzzle to put ointment on – no problem at all. His accommodations are very good: the hospital is very warm, he has separate room with huge crate (good enough for a Great Dane), I provided two comforters, two soft wide collers, two leashes, a sweater and a coat. There are other animals in the hospital overnight too. I walked him longer than an hour yesterday night and today morning. We will continue this schedule of walking. I am taking it easy: he learned “wait” quickly so I can pick his poop up and let cars and people pass (not so many in this area). Making him walk together with me will be of course harder job. I do not request for dogs to truly heal but they should not ever be in front or in back of me – we should walk together side by side with them sniffing and etc. I will have pictures taken during the week-end: too much going on now. There is a possibility of foster round the corner from me. But I am taking everything one step at a time. The hospital personnel is very compassionate and experienced with rescue. They loved him from the first sight. They will take good care of him for now. I think he will get a lot of attention and will be much happier there. He is very small and I think he is a pedigree: a true pit with stance and body type – just miniature. I have seen some like that: the owners told me that they are called “Bulli pits”. I will check it out." Stay tuned for more on Freddy Frodo! A volunteer writes: Hello up there, new human friend! My name’s Frodo, this is my chew toy, and we’re on the hunt for an adventure…wanna come with me? I’m a lot like that other Frodo you know, pint-sized, innocent and true of heart, I even have furry feet like him! My whole outlook on life is can-do and I don’t have a beef with anyone. See how I meet passing people and dogs with tail wags and a wigglebutt? That’s just me being me, I am full of love! I’m also full of energy and nothing makes me happier than getting my zoomie on in the yard, playing fetch or just running around with my peeps. I never guard my things, though I play a pretty good game of tug-o-war, and I always keep my mouth what they call ‘soft’ so no one gets hurt–not even the toys! Cuddles are cool too and if you try to kiss me, guess what? I’m gonna kiss you right back. So whaddya say? You, me, my chew toy and endless adventures full of snuggles and fun? I can’t wait to have you as my new sidekick so please say yes. Pretty pretty please with dog treats on top? Freddy is about 2 years old and a petite 43 lbs.